Ervin Peters died recently at a hospice in Arizona following a stroke. Erv, 89, was one of my early bosses, and I’ll always remember him. 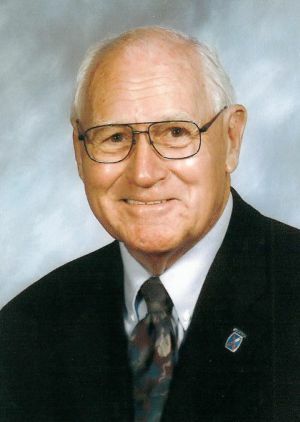 I’d been out of town for a few days and learned of Erv’s death when I arrived home Sunday night from NSP publisher Bill Tubbs, who knew I’d once worked for Erv. Erv spent many years in sales management at what then was called Lujack-Schierbrock Chevrolet in Davenport. Then he struck out on his own and bought a Dodge dealership at 4020 N. Brady St. in Davenport. I worked for him as a sales representative from the summer of 1971 to the summer of 1972. But I had known of Erv and his family long before that. His son Steve and I were the same age. We attended school and were in Cub Scouts together. Erv’s wife, Charlotte, sometimes assisted at den meetings. I never intended to sell cars for Erv or anyone else. When I graduated from St. Ambrose in May 1971 as a 22-year-old married guy with a speech and drama degree and a teaching certificate, I intended to teach. But there were no speech and drama jobs to be found in the area at that time. I went to work for Erv after a short, very frustrating stint as a radio advertising sales rep. That job didn’t go so well because I was selling for an FM station, and FM radio had not yet become popular. Most people didn’t have FM in their cars, and if they did have an FM radio, they often didn’t listen to it because most FM stations either played “elevator music” or they simulcast the signals of their sister AM stations. So I was one of several young men Erv hired to sell cars and trucks at his new dealership. He sent us to a sales school in Moline, and a few days later we were on the job. What I remember most about Erv was his soft-spoken, easy-going manner. He had the ability to engage car shoppers in conversation and put them very much at ease. And perhaps from growing up in the area, spending some 14 years at Lujack and through his club affiliations, Erv seemed to know everyone and, in some cases, members of their family, too. He remembered faces, names, where people worked and the cars they had purchased in the past. He had a story for every occasion. If one of his sales reps was having difficulty closing a sale, Erv would “happen” by and, more times than not, help make the sale. If you did your job, Erv was easy to work for. There was one time, though, I made him angry. But only for an instant. All of the sales people had new Dodge demonstrators to drive, and we were expected to keep them clean so they looked good for test drives. One day during my lunch hour I went to a self-service car wash and washed my demonstrator, a new 1972 Dodge Coronet. Before leaving, I decided to vacuum the interior. The car wash’s vacuum was mounted on a concrete slab that was about 2 feet high. As I pulled up to it, I misjudged my distance and tapped the slab with the right front bumper of the new car. I didn’t think I could have done much damage because I didn’t hit the slab very hard. But the sudden stop had bent the bumper back, causing the fender to bow out over the right front wheel. Erv was self-insured for the most part, so I knew either he was going to be paying for the repairs or I was. When I got back to the dealership, I mustered my courage, went into Erv’s office and told him I’d dented my demonstrator. He looked unhappy and asked me where it had happened. “At the car wash,” I said solemnly. His frown changed to a smile, and he started laughing. “At the car wash?” he asked with a chuckle. “Yes,” I said. Then I explained how the freak mishap had taken place. Erv, still smiling, told me to take the car to the dealership’s body shop, and he’d cover the cost of repairs. Lucky for me that day, another of Erv Peters’ traits was his sense of humor. Copyright 2014 by Phil Roberts, Creative Enterprises. This piece appeared as a column in The North Scott Press, Eldridge Iowa.